Home > Uncategorized > Welcome to our Brand New Website! 10 Oct Welcome to our Brand New Website! Our old site was looking a little dated and wasn’t as user friendly as we had hoped. So we’ve gone back to drawing board. Our intention was to make a site that catered for everybody’s needs whether you are a contractor, merchant, architect or civil engineer. 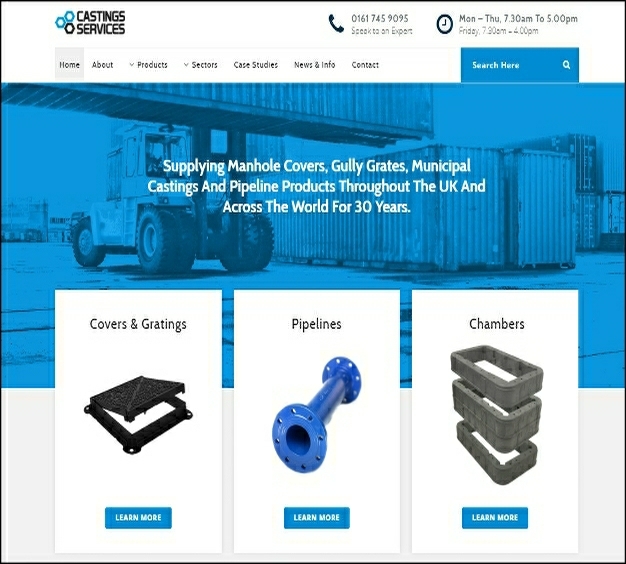 The new site should hopefully take you straight to the information you require; whether that be specific information about a product or more general information regarding our capabilities or past projects. Our website will be constantly updated so we would ask that you continually check back to see the latest developments. If you have any suggestions that you think would improve the site, then please don’t hesitate to get in touch. Furthermore we would like to give a big thank you to That Web Look who helped us with the new site.